STEM education runs deep in the Schwankl family. 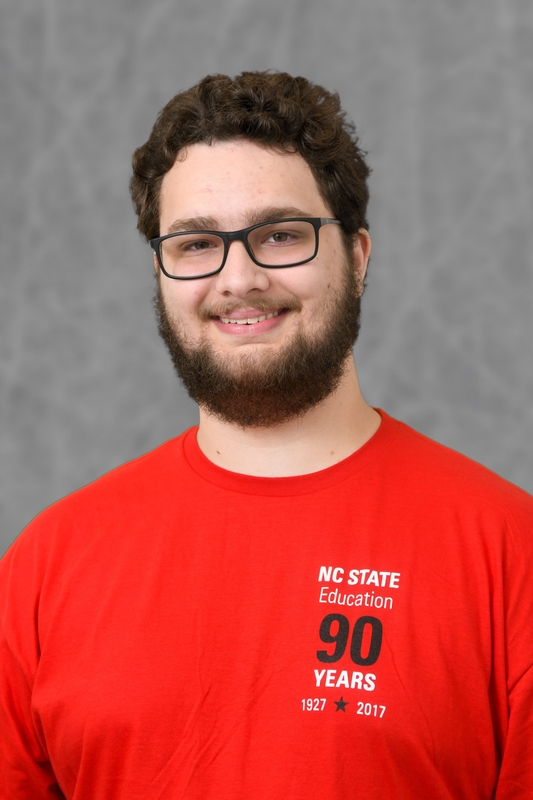 Following in his father’s footsteps, Nicholas Schwankl joined the Teaching Fellows at NC State this fall as a sophomore studying Technology, Engineering, & Design Education in the NC State College of Education. His dad, James “Jimmy” Schwankl, graduated as a mathematics education major from the college in 1994. As a kid, the younger Schwankl often felt it necessary to relay any information he learned about science, math and technology to anyone who would listen, which looking back is a good indicator of the path he would choose as an adult. His dream job changed every day at that time, and he said the options were endless — astrophysicist, mathematician, programmer, electrical engineer. Then he enrolled in the N.C. School of Science and Math for his junior and senior years of high school. He soon realized his passion wasn’t about what he could be, it was about what he could learn and teach others. 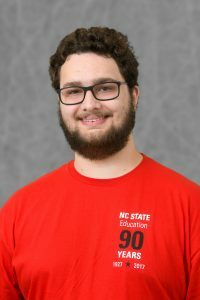 First enrolling in NC State in 2017 as an exploratory studies student, he changed the course of his studies when he heard about the return of the Teaching Fellows program. “Coming from a family of teachers, the Teaching Fellows program will definitely help me make it through college while leaving some funds for my two sisters, but the program is more than that to me,” said Schwankl. Schwankl credits his dedication to knowledge and learning to his experience in North Carolina’s public school system. He says the way his teachers in the community of Pittsboro, North Carolina, demonstrated their dedication to his education inspired him to pay it forward. Now, Schwankl is concentrated on earning his degree and licensure to become a technology teacher with his ideal classroom being a high school makerspace or fabrication lab. He says he hopes to use technology to “engineer and design” a new way of teaching and that he’s preparing for that by learning from industry experts at the college and taking advantage of the vast resources available to him in his program.